KABUL -- As the Afghan government and international donors continue investing in education across the country -- building new schools and equipping them with modern education tools -- public interest in educating girls is growing in Parwan Province. Officials from the Afghan Ministry of Education say they are working to increase the number of schools in the country because of the increased interest in education. The Zarbia Girls School in Jabal Saraj District, Parwan Province, is one such example. The new building for the school, which officials inaugurated November 11, was constructed with support from South Korea and includes eight classrooms, a conference room, a computer lab and all necessary equipment. "Compared to other provinces, the education situation in Parwan is good and we have witnessed good efforts this year," said Wahida Shahkar, a spokesperson for the Parwan provincial governor. "There have been some great improvements, especially recently, and as we approach the end of the fiscal year," she told Salaam Times, citing "the opening of 12 very good schools". "The level of public awareness in Parwan has increased, and families have been more open-minded and have therefore become interested in allowing their children, especially their daughters, to go to school," Shahkar said. "Informative programmes and messages by the news media, which reach the public through the pulpit and through scholars' efforts, as well as through the Department of Women's Affairs ... have played vital roles in raising awareness," she said. 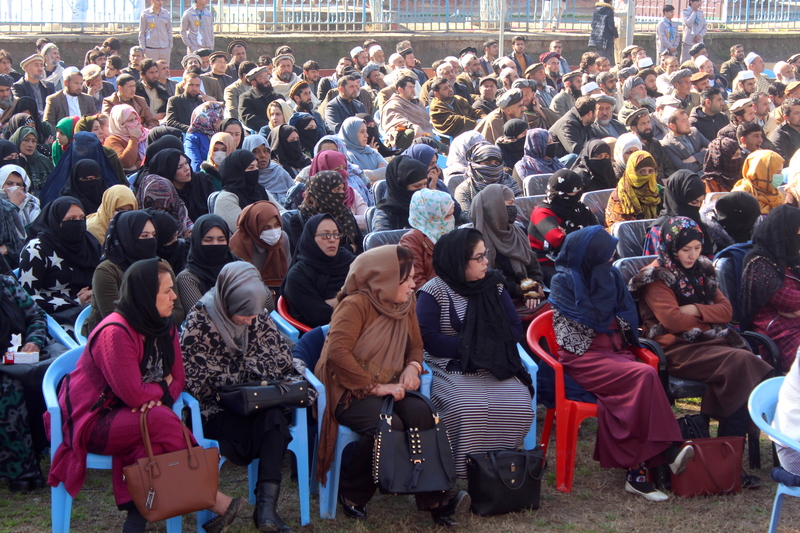 Public opinion about girls' education has changed thanks to the efforts of the Afghan government and media to raise awareness, agreed Roshana Khalid, a women's rights activist in Parwan Province. For the most part, families are enthusiastic about their children's education, she said. 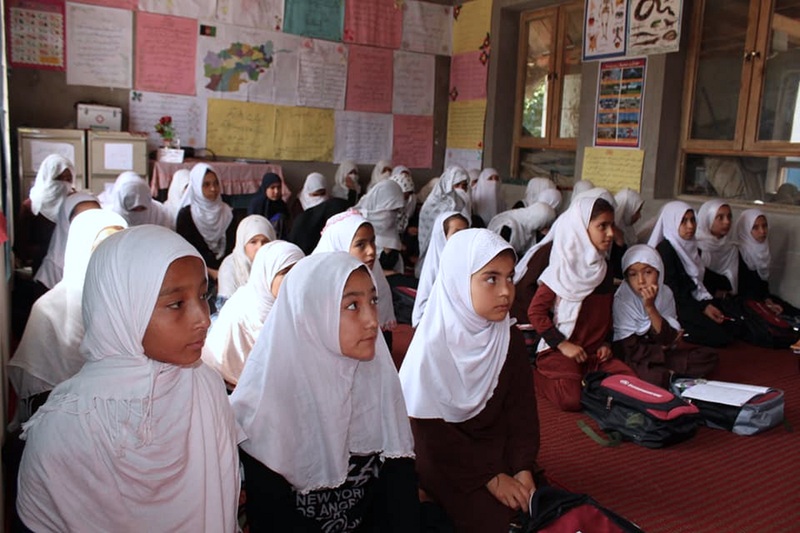 Families in Parwan "used to think that merely finishing sixth grade was sufficient for girls, a mentality that has been long changed", she told Salaam Times. "Now, they allow their daughters to be educated." "In recent years, there has been a great improvement in the Parwan education sector," she said. "[For example] buildings have been built for some schools that formerly did not have one." "In addition to grade schools, there are other active educational institutions in Parwan, including the University of Parwan, as well as many private institutions," she said. Girls are showing greater interest in studying a variety of subjects. "For instance, while in the past girls were not interested in attending the [Parwan] Agriculture Institute, 100 girls are studying there now," she explained. "We need female teachers, lawyers, physicians and other specialists just as much as we need their male counterparts," she added. "Before 2001, the presence of girls in the Afghan education sector was zero," Education Ministry spokeswoman Nuria Nuzhat told Salaam Times. "However, the Education Ministry made efforts, and the Ministry of Hajj and Endowments, local councils and civil society institutions conducted awareness programmes," she said. "Interest in education has increased as a result of these efforts." Afghanistan has about 9.3 million students in school now, including 3.5 million girls, she said. "More than 40% of our students are now girls. Moreover, 33% of our educators are female, and we are trying to increase women's participation in the education sector," she noted. The ministry is working to provide more amenities for schoolchildren, especially for girls, in order to increase their interest in education, she continued. "The construction of 6,000 schools is among the largest projects of the Education Ministry, which the president announced at the beginning of the current school year," Nuzhat said. During this solar year, which began March 21, the government plans to construct 2,700 schools, she added. "We have launched the construction of 1,946 schools in 17 provinces, where schools were badly needed," she said, adding that the project was made possible through the World Bank's Afghanistan Education Quality Improvement Programme, which has $175 million (13.3 billion AFN) in investments. "In addition, 700 other schools that needed improvements, such as yard walls, sanitation facilities and bathrooms, and drinking water, will be equipped through the above-mentioned programme," she said. 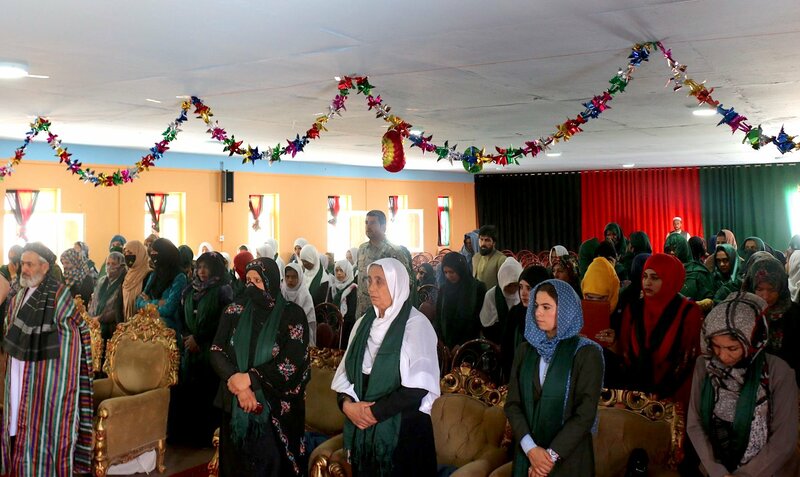 Residents of Parwan Province have become more aware and have realised that educating girls is not only beneficial for the girls but for the entire community too, said Abdul Ahmad, a local teacher. "Year after year, the number of students -- both male and female -- in Parwan schools has increased, because society has recognised the importance of education," he told Salaam Times. "The public has realised that illiteracy is like blindness, while through literacy and education, it can achieve whatever it desires," Ahmad said. "We are happy that the people value education because illiteracy is the root of almost every misery in our country," he noted. "In the past, locals were entangled with undesirable obsolete traditions as well as social stigmas, so they did not allow their daughters to go to school," he said. "And those who did allow it did not allow daughters to continue past sixth grade." "Once the locals' level of awareness increased, they realised that if their daughters become doctors, it will help not only [the girls] but all other residents of their village," he added. The move will help improve education in the region as many students have been forced to study in open spaces because of damaged or destroyed facilities. Besides denying girls access to schools, the Taliban hire their own teachers, monitor school attendance and provide their own curriculum. The provincial government is trying to ensure greater women's participation in education and in government offices.